A friend wept as he recounted the horror of last Friday’s massacre in Christchurch, a colleague fought back tears as she welcomed students to class, a city volunteer’s voice broke as she welcomed parents to a kids’ program and asked for a moment of silence. 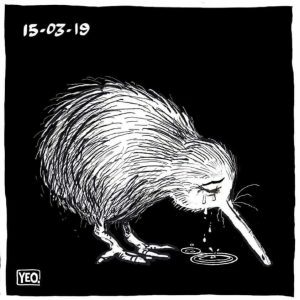 Here and around the world we grieve with the victims, we grieve with the people of Aotearoa New Zealand. These feel like dark days, indeed. 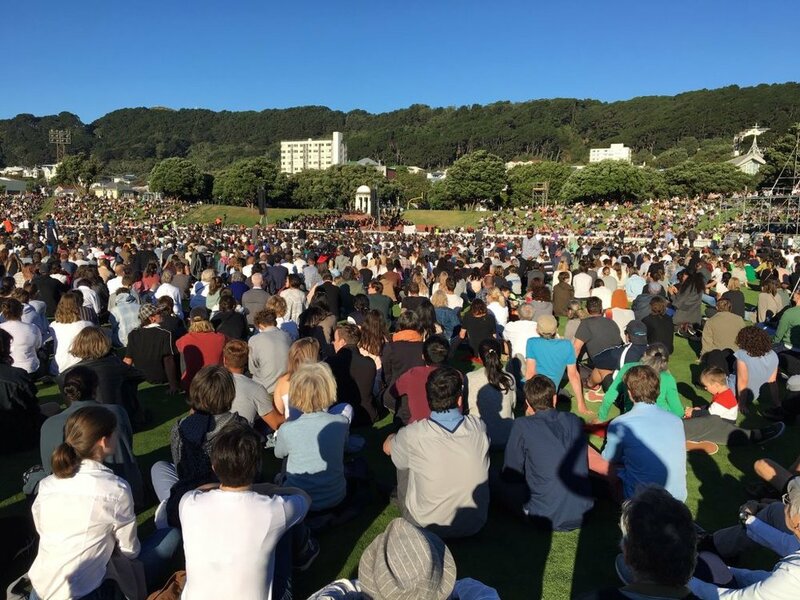 Sunday evening we joined 11,000 people gathered for a public vigil in the cricket stadium here in Wellington. It looked like at least that many more were unable to enter and stood outside listening. Police providing security at the event stood with machine guns at the ready, an unusual and shocking sight. We wept together for those who lost family members; we grieve the effect of this collective ‘earthquake’ that has shaken our Kiwi sisters and brothers to the core. Aotearoa New Zealand is now unwillingly a co-sufferer with communities around the world who have experienced raw hatred and obsessive evil such as Bagdad, Cairo, Charleston, Kabul, Pittsburgh, Jolo, Kaduna … and now Christchurch. But the darkness shall not prevail. We heard stories of heroism on the part of first responders and ordinary people (like the woman who saw people fleeing the shooting scene and offered them shelter in her home), and we have seen an outpouring of love and generosity here in New Zealand and from around the world. With these expressions come a new resolve to stop casual racism and stereotyping and to recognize that violent speech can end in violent acts. Thank you to so many of you who sent us words of concern and encouragement with a promise to pray for comfort and healing here in New Zealand. We pray that God will also use you right where you are to be a source of light and hope among your neighbors, classmates, and co-workers. It is so easy to fall prey to fear of “the other” when it seems like darkness and violence surround us. May we be like Jesus and diligently break down the barriers that divide people and serve as God’s ambassadors of reconciliation in every situation (Ephesians 2; 2 Corinthians 5). Kia kaha (an important Maori phrase meaning ‘stay strong’). Praise God for the compassionate responses of friends and neighbors in New Zealand and around the world that are shining light where darkness seemed to triumph. Pray for the families and communities shattered by the evil of a lone gunman in Christchurch. May they experience God’s grace and peace, and find healing and forgiveness. Pray for the gunman who chose to kill innocent victims and wound the entire country of New Zealand. May God restore his humanity. Pray that God would use you to stand for peace and reconciliation and against extremism and violence in your community and social networks.